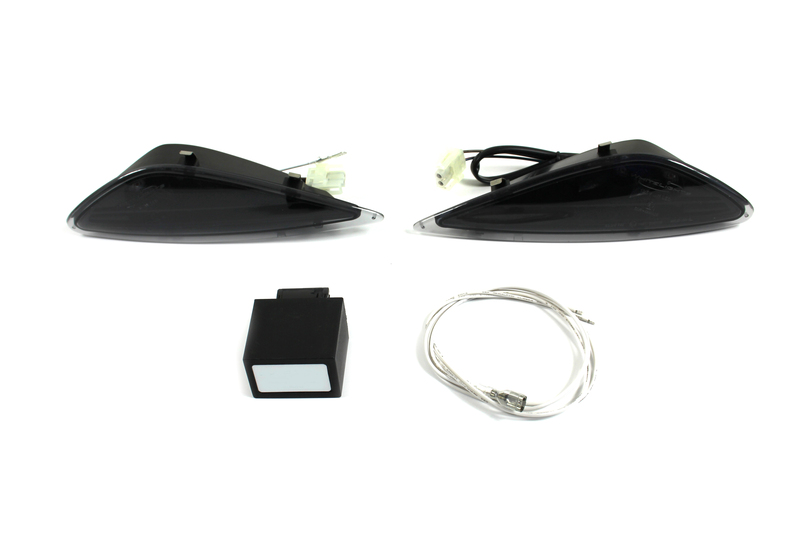 These LED indicators for the front of the BMW R1100S are sold as a pair and are available in clear or black. They include the position light (parking light). 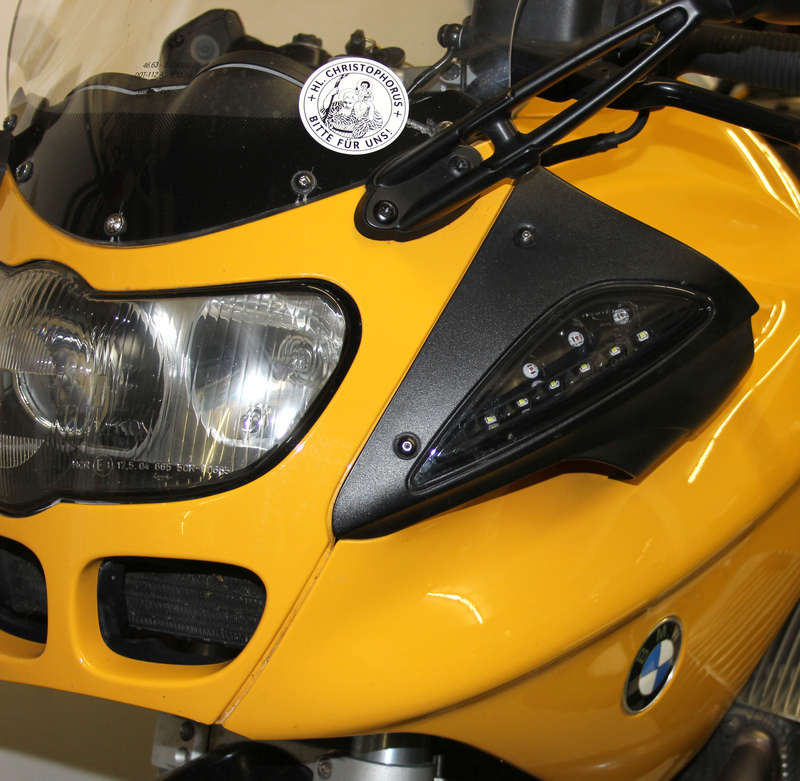 The original indicators are simply replaced by these LED indicators. The necessary electronic indicator relay is included in the shipment and has to be used for installation. 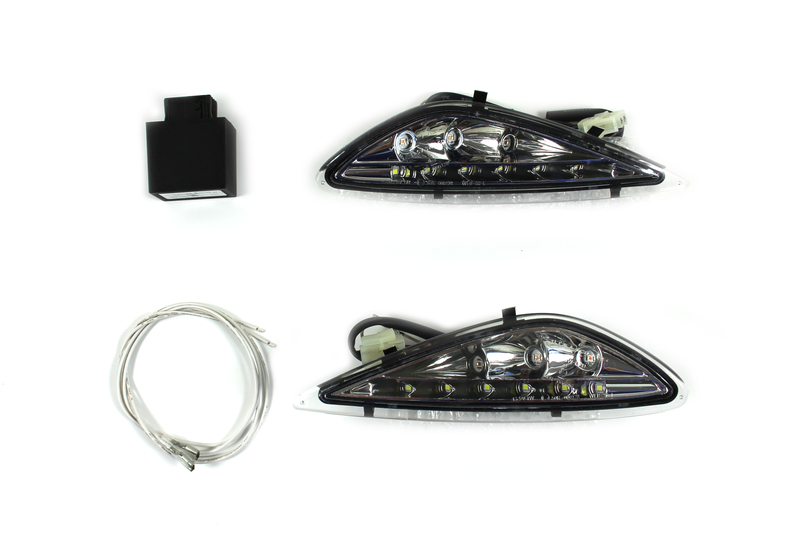 1 set = 2 LED indicators (for the left and the right side) with relay WLR-05. 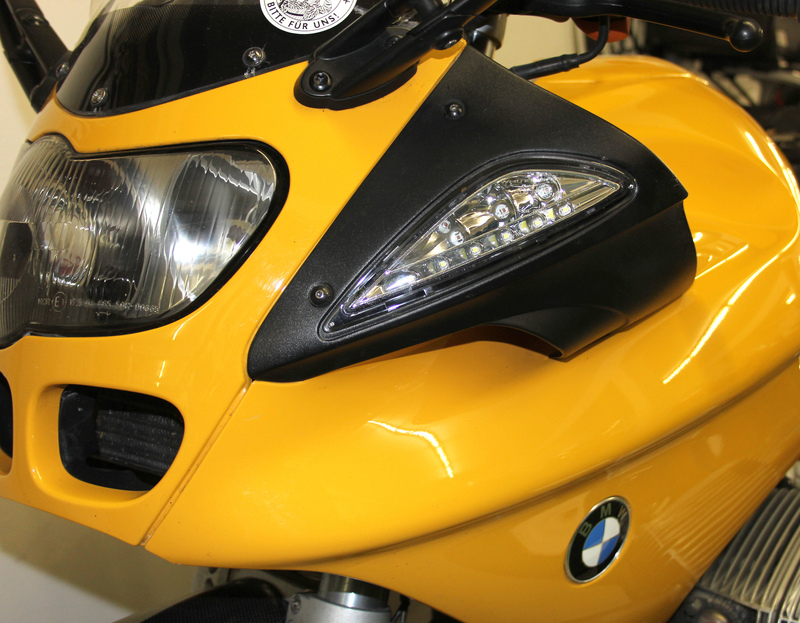 The indicators fit for all model years of BMW R1100S.